Contest ends at 11:59 PM EST on Sunday, April 12, 2009. 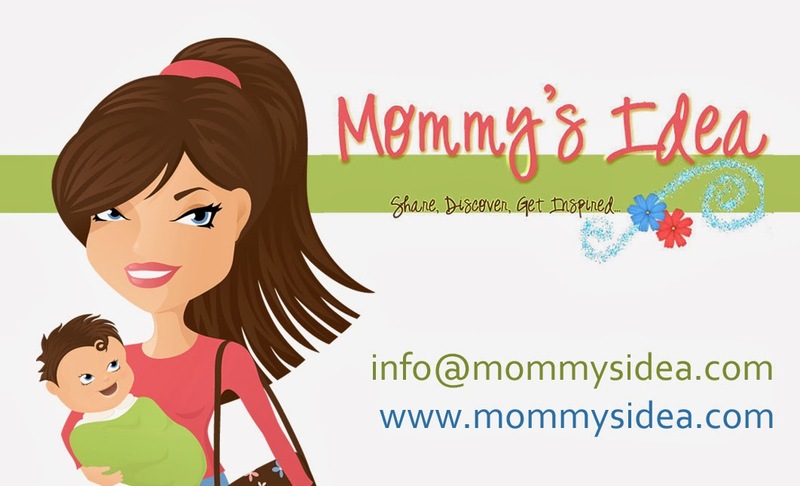 My name is Amy Ames and I am the owner of Doodlebug Dezigns. I’m a work-at-home mother of 2 boys Ethan (8) and Cole (4). I grew up in Athens, Georgia and married my childhood sweetheart. I started creating unique birth announcements after the birth of my first son. I spent the next few years just having fun and selling a few here and there. After my oldest started school we decided to open a website. Within a few months, we had risen to the top of search engines and our business quickly grew. I am thankful to have a supportive husband who has encouraged me every step of the way. Doodlebug Dezigns is mom-owned, invented and created. Our current employees are also all Moms. We all have the same main focus in our life, so we make a great team. The journey has been fun. I feel very blessed because I love every ounce of my job. The web makes starting and running a business relatively easy. I think the tough part was just getting started. My husband works in the IT industry so he handles most of the marketing and the technical details which leaves me free to do the creative and customer service work. I have enjoyed getting to know people from all over the country. It always surprises me when I see all the neat places that we get orders from. I have even made some great friends throughout the process. We have a Face book page. Please stop by and become a fan. Save 25% off everything in the Make Life Simpler Collection! I had the chance to review “Tell Me a Story” and I am so glad I can offer it to you in this great giveaway! This is a true storytelling CD. The speaker is a wonderful reader and keeps you entertained. The music is fantastic and the sounds truly enhance each story. I had intended to listen with my son, but ended up listening in the car while I was out one day. I found myself listening carefully and anxiously waiting to find out what would happen at the end. You and your child/grandchild will love to listen to these amazing stories! 2. Come back here and leave a comment telling us who would love these CDs. Contest ends at 11:59 PM EST on Saturday, April 4, 2009. I’ve been writing Tell Me A Story (and working with my illustrator, Jillian Gilliland) for 16 years. The stories run in over 100 newspapers around the world and are available online at www.uexpress.com/tellmeastory. I also write books, essays, and stories, and I teach writing at UCLA Extension in Los Angeles. I’m a mom (though my girls and stepkids are all grown up), and I’m the owner, inventor, and creator of Myths and Tales (Friedman Danziger Productions) ; my co-creators, Laura Hall and Jillian Gilliland, are also moms; in fact, Laura’s daughters, Eva and Ruthie, can be heard on the CDs reading the titles, and they’re vital in helping me, Laura and our director, Lori Ada Jaroslow, in selecting which stories we include (from the over 900 I have published). In a life filled with writing, teaching, directing and creating, the creation of the CDs has been among the most inspiring. The talent I work with and the ways in which the stories I’ve written become transformed into something still more magical, delights me, and teaches me something new about each tale. I confess I am climbing a steep learning curve when it comes to sales and marketing—that part eludes me to some extent—but I’ve enjoyed every minute of this ride, and the feedback from listeners has filled me with almost as much joy as has the creative process. I’m on Facebook, Twitter (as kellsmom), and coming soon, I hope by May, I’ll have a website. For now the CD website is www.mythsandtales.com. My other writing is also over the web if you google my name. I live in the suburbs of New York City with my wife and our six children, ages 3 to 13. I've always wanted my own business, and finally I decided that the time was right and I should go for it. So I did. My original e-card site was Month2Month.com and you can still find it at http://www.month2month.com. Our newest e-card site is YourCards.com. You can find it at http://www.yourcards.com . These sites are unlike other e-cards sites in a few ways. First, the difference between my two sites is that Month2Month.com will appeal to families while YourCards.com will have certain features that will appeal to business and professional users. On both sites, we don't have any annoying popup ads, and we also don't charge for our cards – they're totally free. You can customize most of our cards in a couple of ways. On many of them, you can change the greetings to say what you want. For example, “You're invited to our barbecue at 6” instead of “happy birthday.” Also, our logos can be replaced with your own name, or your company logo, so you can put your own personal stamp on the cards. Or you can use them in your business. And last but most importantly, the quality of our cards is superb. We take a long time creating each of our cards, months, compared to just days for most other e-card company sites. It is DAD invented, created and owned. I started working on this at home in my attic but as you can imagine, 6 kids became a challenge and I needed space for my artists. A couple of years ago we moved into warehouse space with some interesting neighbors including artists, dance studios, technology start-ups and we even are just above the local chapter of Autism Speaks. What led me into this business was the frustration I had in using other card sites. The ads pop-up in your face every time you go to most of the sites and then you have to pay for the cards! Then after all the hassle of getting to the cards, they really aren't worth it. I thought there had to be a better way – and the more I thought about it, the more I felt that I could do it better. With six kids, you have to have a sense of humor, be flexible, be well-organized and be a creative problem-solver. I believe all of those skills are crucial to starting a company and being a good entrepreneur. Of course, the quality of our cards requires more than that. It takes outstanding artistic ability, and I have been extremely fortunate to have found people to work with me who have that. It has not all been smooth sailing since I started. There was so much I didn't know about an Internet business, and I had to educate myself online, by talking to other people, and of course, by making mistakes. But I think the company is on the right path and gathering momentum now. I think moms who have businesses will identify with this when I tell you that with six kids, I'm spending pretty much all of my time on YourCards.com and those who are just looking to send someone warm greetings from Month2Month.com. In my non-working time I’m either at the playground, in the backyard, or bathing, feeding, dressing, transporting, changing diapers, helping with homework, etc. And at night when everyone is asleep I'm up reading the blogs. I rely heavily on what hear from bloggers to try to make these cards the best on the web. Psi Bands (pronounced "Sigh Bands") are acupressure wrist bands for the relief of nausea due to morning sickness (pregnancy), motion sickness/ travel, chemotherapy, and anesthesia. 2. Come back here and leave a comment telling us how this item would help you or someone you know. Contest ends at 11:59 PM EST on Sunday, March 29, 2009. After several years of building experience in their respective fields, Carla Falcone and Romy Taormina found themselves working together as account executives at an award-winning advertising agency located on California’s Central Coast. Both women have extensive experience strategizing, creating, and executing multimedia campaigns for a multitude of clients in various industries. Both women are happily married and mothers of two boys each. Falcone resides in the Seattle, WA area, while Taormina resides on the Monterey Peninsula, CA. Falcone and Taormina have combined their expertise to oversee and direct all sales, marketing, and promotions of Psi Bands. They collectively have more than 20 years of marketing experience. “Mompreneurs” Taormina and Falcone suffered from terrible morning sickness during each of their pregnancies, four in total, and found nausea relief from wrist acupressure. However, they were dissatisfied with existing products on the market and wanted to create something stylish and effective for others who suffer from nausea. Taormina stated, “When I was pregnant, the drug-free choices to relieve my morning sickness were limited. We wanted to create a product that would provide relief, make a stylish statement, and grow with the mom during her pregnancy.” So, Taormina and Falcone teamed up with Product Designer Pieter Schouten to create Psi Bands, acupressure bands that are worn on the wrists like a watch . “It is extremely fulfilling to nurture a business from the ground up. The timing of my second pregnancy coincided with the prototype phase of our product development. I have first-hand experience wearing Psi Bands and can proudly say that they relieved my morning sickness,” stated Falcone. We had a vision for what we ultimately wanted in Psi Bands, but we didn’t know how it would take its form or shape. We found the answer in a friend, Pieter Schouten, who is a product designer/developer. When presented with our idea, he not only gave us advice, but he wanted to be a part of the business. The rest is history. We are committed to giving back. One way we accomplish this goal is via our charitable partnership with Fertile Hope. Fertile Hope provides reproductive information, support, and hope to cancer patients and survivors whose medical treatments present the risk of infertility. 2. Sign into the guestbook and leave a comment about your favorite apron. 3. Come back here and leave a comment telling us you signed the guestbook. 4. Be sure to leave your e-mail if you don't have a blogger ID. Bloggers- you must have a public profile and listed e-mail for us to find you. Contest ends at 11:59 PM EST on Sunday, March 22, 2009. My specialty is making and designing aprons for adults and toddlers; aprons for today's woman. I use all designer, quality fabrics and ribbons. I love selecting the fabrics and the visualizing them as completed aprons. I have a range of styles that reflects a range of personalities. My aprons are chic, elegant, classic, romantic, and a bit fun and funky. Definitely something for everyone. My adventure started about 3 years ago, first selling in a Boutique and a Bakery, and just recently I started my website: www.overthetopaprons.com. I would like to invite you to view my website as you will find that my aprons are unique from other aprons out there. Over The Top Aprons is mom-owned, created/developed by me. I am the owner/designer. Just recently I found marvelous seamstress to assist me as things have taken off rapidly. My first attempts at "crafting" was with upholstered doll furniture, American Girl Doll Clothes. a store on Etsy, Mommy and Me Boutique (which I have closed) and then on to the Apron Adventure. Actually, the apron idea came about when viewing a talk show and a lady was showing her aprons ... I thought I can do as well as that and maybe even better .... so the journey began! Aprons are definitely on the comeback and it is fun to see all the unique creativity that women are coming up with in expressing their talents in designing the aprons. I applaud the many different talented artists!